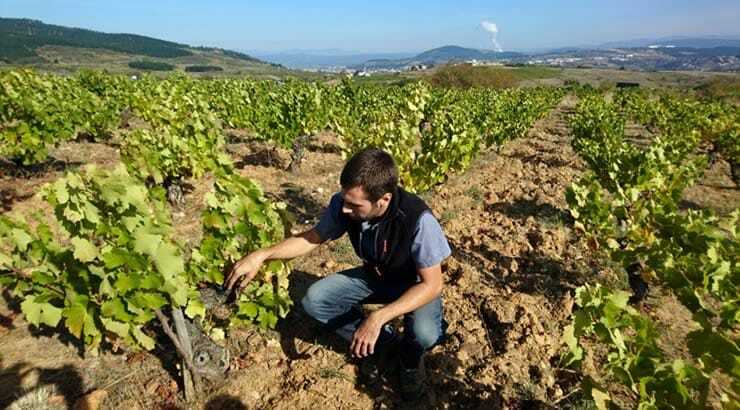 Mario Rovira started to make wine in Bierzo, where he was working with the grape variety Palomino Fino. He got so much in love with it that started a new project in Sanlúcar de Barrameda, located in Sherry region. The range of white wines ‘Tosca Cerrada’, -Type of Albariza soil called by the locals in this specific region- wants to show the evolution of wines made from the same base wine with the touch of Flor – thin layer of yeast- . He makes the Mosto (a year in the tank with the flor), then 7 months with flor in old manzanilla barrels, and the third one, 15 months with flor in old manzanilla barrels. Being unfortified wines, and made naturally in the winery, they are more enjoyable to drink. Mario wants to show through his wines the typicity of the soil and variety and recover the authenticity of the wines from this region.